You can view print our PDF Menu if you would like. Flaky pastry filled with savory seasoned potato and fried to perfection. 2 pieces. Golden brown flaky pastry filled with seasoned ground chicken. 2 pieces. Samosas mixed with garbanzo beans, onion, yogurt, chaat masala, chutneys and herbs. Golden fried seasoned mashed potatoes served with garbanzo beans, yogurt, chutneys and sprinkled with light herbs. Seasoned vegetables dipped in chickpea batter & fried to perfection. Thin strips of chicken coated in chickpea batter fried to perfection. Served with chutney. Chickpea flour battered Paneer fried to golden perfection, served with chutney. Hard-boiled eggs battered with chickpea flour and deep-fried to perfection. Battered homemade soft cheese sautéed with fresh garlic, onion and bell peppers. Simmered in soy based house sauce. 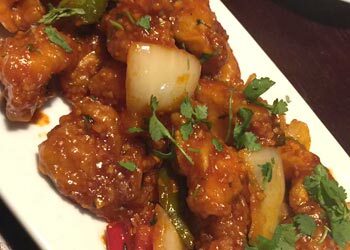 Chicken sautéed with fresh bell peppers and onion in our signature chili sauce. Popular street item from Nepal. Lightly battered fish sautéed with fresh bell pepper, onion and tomato in our signature chili sauce. Mixed Vegetable fried to perfection infused in sweet and sour garlic sauce. Cauliflower florets fried to perfection infused with sweet and sour garlic sauce. Golden fried tender chicken meatballs mixed with sweet and sour garlic sauce. Enjoy these steamed mussels simmered in a delicious creamy garlic curry sauce. 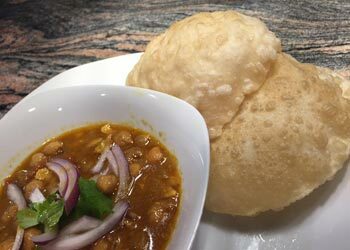 Served with Garlic naan. This is one of our most popular appetizers. 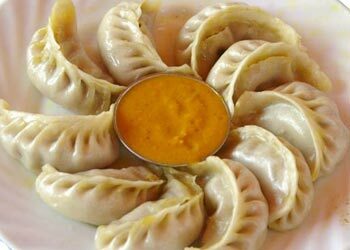 Homemade steamed dumplings filled with marinated ground chicken, served with delicious tomato sauce (Nepali achar). Popular street food in Nepal. Golden brown deep fried chicken wings mixed with homemade wing sauce. Our family favorite appetizer. Golden fried Lentil batter dipped in homemade yogurt and sweet and tangy tamarind and other sauces and topped with herbs. Specially prepared lentil soup in mild herbs. Savory soup full of fresh mushrooms. Simple yet delicious. Homemade potato soup with whole peas and herbs. Tibetan noodle soup with vegetable and/or chicken, originated in the eastern part of Tibet and northern part of Nepal. Chicken Soup Healthy Hearty soup made with ground chicken and mild herbs. Seafood stirred in tomato sauce, wine and seasonings, topped with cilantro. A hearty, herby meal-in-a-bowl! Lettuce with tomatoes and cucumbers choice of ranch, Italian, vinegar, thousand island or honey mustard dressings. Romaine Lettuce, ground chicken, Cucumbers, Tomatoes and shredded paneer. Lettuce Cucumber Tomatoes with Mangoes and Mango dressing. Onions, Cucumber, tomatoes Green Chili peppers, Lemon sprinkled with Indian Masala. 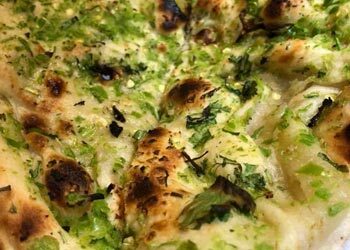 We offer these Naan Styles - Butter, Potato, Spinach, Garlic and Basil, Paneer, Chicken, Green Chilli, Methi (Fenugreek), Roti and Onion Kulcha for $3 to $6 an order. Rice infused with Sautéed mustard seeds and curry leaves. Infused with fresh lemon. Simple mixture of aromatic basmati rice lightly pan-fried with herbs and green peas. Lightly pan-fried rice with saffron a spice derived from the flower of "Crocus Sativus". Pan Fried rice sautéed with cumin seeds (Jeera). 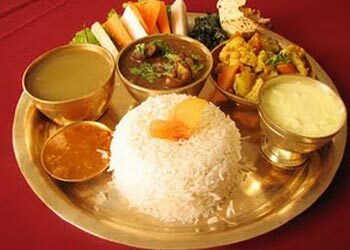 Basmati Rice and Vegetables infused with Himalayan herbs and spices in a garlic ginger sauce (Served with Raita). Basmati rice mixed with Himalayan herbs and spices in garlic ginger sauce and Paneer (homemade cheese). Served with Raita. Marinated chicken simmered in tomato-onion curry sauce and basmati rice. Served with cucumber raita. Tender garlic and ginger marinated lamb pieces, infused with aromatic basmati rice. Served with Raita. Himalayan favorite. Rice slowly cooked with goat meat, ginger, garlic and spices. Served with Raita. Basmati rice slowly cooked with garlic ginger and tender shrimps. Basmati rice cooked with tender pieces of herb-marinated fish pieces. Served with Raita. Two hard-boiled eggs tugged in a heap of basmati rice cooked with garlic ginger and herbs. Served with Raita. Cauliflower sautéed with garlic, ginger, tomatoes and Himalayan spices. Lentil sautéed with cumin seeds, garlic and ginger. 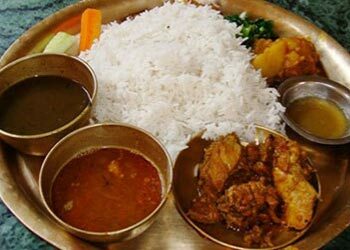 Commonly enjoyed with Rice in Nepal. Potatoes with black eye peas and bamboo shoots, cooked in tomato based tangy sauce and herbs. Mushroom and peas cooked in onion, tomato gravy and Himalayan spices. Noodles with tender chicken, prepared in traditional Nepali style. Noodles with assorted vegetables, prepared in traditional Nepali style. Goat meat cooked in traditional Nepali style. Fish prepared in traditional Nepali style. Savory yogurt-marinated chicken roasted to perfection on our clay oven and served in our sizzling platter. Boneless chicken cubes marinated and cooked in our clay oven. Herb marinated shrimps, flamed in the clay oven and served in our hot and sizzling platter. Salmon fillet, marinated with lemon, garlic butter and herbs. Served in our hot sizzling platter. Rack of lamb marinated in garlic-ginger and a touch of mustard oil. Flamed in the clay oven and served in our hot and sizzling platter. Boneless tender pieces of marinated lamb cubes roasted in our clay oven and served in our sizzling platter. Cubes of Homemade Cheese (Paneer) cooked to perfection in the clay oven. Served in our sizzling platter. Assorted vegetables prepared in garlic ginger homemade sauce. Homemade cheese cubes simmered in rich tomato butter-cream curry sauce. Fresh mushrooms prepared in zesty onion sauce with garlic, ginger and mild herbs. Vegetable fritters, simmered in special yogurt based curry sauce. Popular item in Punjab. Roasted & pureed eggplant sautéed with fresh ginger, garlic, onion, tomato & cilantro finished with a touch of cream. Cubes of eggplant prepared in special soy sauce and fresh garlic. Paneer Kadai - Homemade cheese prepared in Kadai (traditional wok) with garlic and ginger sauce. Traditional chicken entrée prepared in tomato butter creamy sauce (white meat). Traditional chicken entrée prepared in butter tomato sauce (dark meat). Tender Chicken prepared in a creamy fenugreek sauce and homemade specialty sauce. Chicken prepared in a creamy cashew curried sauce and seasoned with herbs. A delicious combination of creamy coconut infused with fresh herbs and spices. Marinated Chicken with curry based spinach sauce. Originated from Mumbai, this is a dish consisting of potatoes and hot curry sauce and spices. Chicken in onion based curry sauce simmered with fresh tomatoes, cilantro, garlic and ginger. Chicken sautéed in garlic, ginger, onion and bell peppers. Specially prepared in Kadai (iron wok). Traditional Chicken curry mixed with seasoned garbanzo beans. Boneless chicken prepared with spinach, mushroom & shredded paneer in rich cashew curry sauce. Chicken sautéed in crackling fresh herbs and simmered in tomato onion curry sauce with mango chunks. Mixture of Curry Chicken and Okra. Recipe uniquely made for Himalayan customers. Creamy Curry Chicken prepared with ginger garlic and mild herbs. Ground Chicken cooked to perfection with garlic and ginger sauce. Tender marinated Chicken simmered in herbed lentil. Tandoori baked tender lamb, simmered in our signature butter tomato cream sauce. Lamb & potatoes in hot and zesty spicy curry sauce. Lamb medallions cooked with fresh tomatoes, onion, cilantro, garlic & ginger curry sauce. Lamb cooked in spinach gravy & finished with garlic cream. Tender medallions of lamb sautéed with garlic ginger creamy coconut sauce. Lamb cooked with lentil and finished with herbs and spices. Boneless lamb sautéed in garlic, ginger, onion, bell pepper. Prepared in Karahi (traditional wok). Tender medallions of lamb sautéed with garlic ginger and mango sauce. Lamb cooked with fenugreek leaves and special curry sauce. Lamb prepared in a creamy cashew curried sauce, garlic-ginger & onion sauce. Tender medallions of lamb sautéed with garlic ginger and seasoned with fresh mint leaves. Himalayan Bar and Grill Special. Lamb slowly cooked with ginger garlic and fenugreek leaves. Shrimp or fish simmered in tomato cream sauce. Jumbo prawns or fish sautéed in onion ginger, garlic, tomato-curry sauce finished with coconut milk. Shrimp or Fish prepared in a creamy cashew curried sauce and seasoned with herbs. Shrimp or Fish sautéed in zesty brown curry sauce with onion & bell pepper. Prepared in Karahi (traditional wok). Shrimp or Fish prepared in traditional Goa style with sautéed mustard seeds and curry leaves with a hint of coconut. Goa is a coastal region in West India. Shrimp or Fish prepared in curry flavored mango sauce. Shrimp or Fish prepared in spinach sauce. Fish or Shrimp prepared in garlic, ginger curry sauce mixed with assorted vegetables. Himalayan Grill Special. Fish or Shrimp slowly cooked with ginger garlic and fenugreek leaves.